I hope the start of you week has been kind to you. 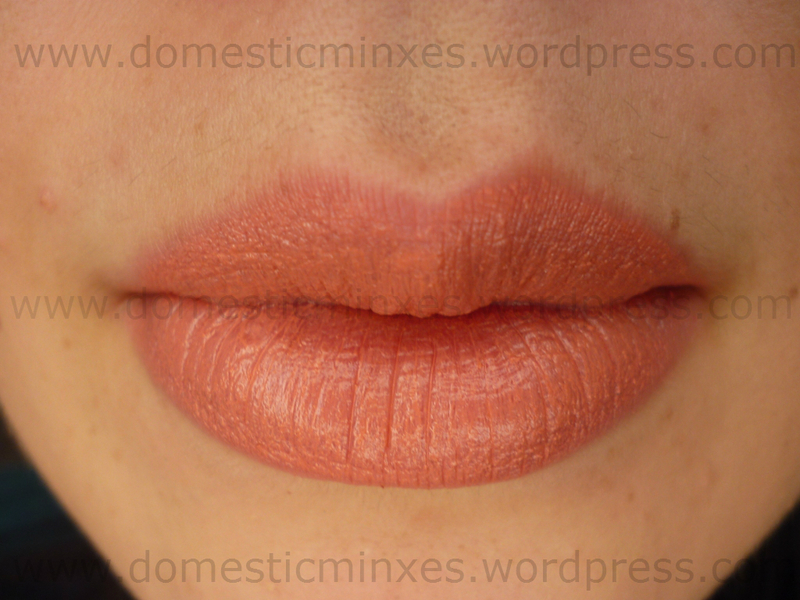 Before I get into swatching and reviewing some of my recent purchases, I thought I would show you a new lipstick of mine that I got only yesterday. 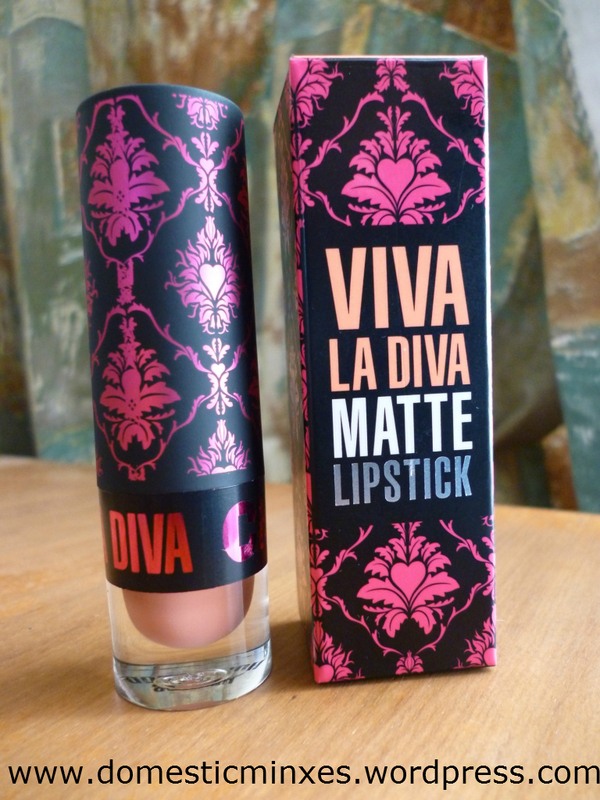 I know I only just discovered Lipstick Queen Lipsticks, but now I discovered Chi Chi Viva La Diva Lipsticks -_- *sigh* I think my extreme obsession has switched to lipsticks for a while. I have used Chi Chi cosmetics before, I have one of their Quad eye shadow palette that Del got me for Christmas 🙂 Sadly Chi Chi does not seem to have a website that is up and working, but hopefully soon it’ll be working. Isn’t the packaging just gorgeous? I am such a sucker for pretty packaging and Chi Chi always delivers. 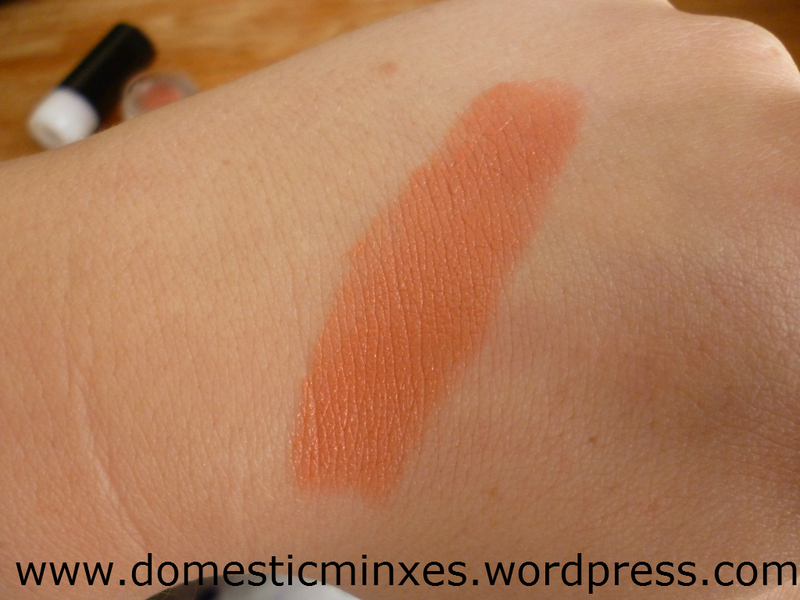 It is a creamy matte finish which I have never really used before but I have to say I like it. All the different colours have what type of finish they are like matte, frost, metallic (I know right metallic yum). The tests for lipsticks beside the colour is how it goes on and how long it lasts and Chi Chi lipstick goes on like a dream. You can have light coverage or layer it up for heavier colour and no matter how you layer it it lasts for a good few hours. 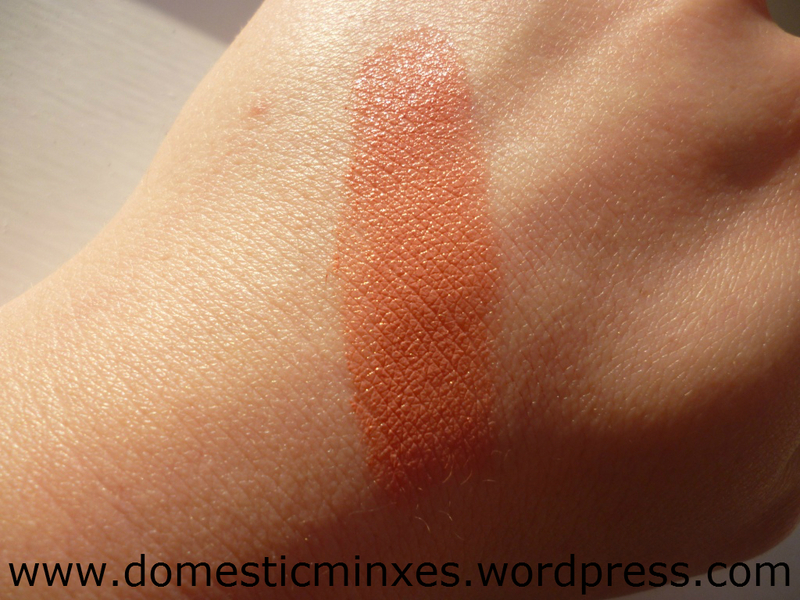 It does come off a little bit as you eat but not as much as other lipsticks. Another plus it smells nice, just a standard sweet smell that isn’t over powering. So I love everything about my new lipstick and I am already contemplating my next shade to purchase. 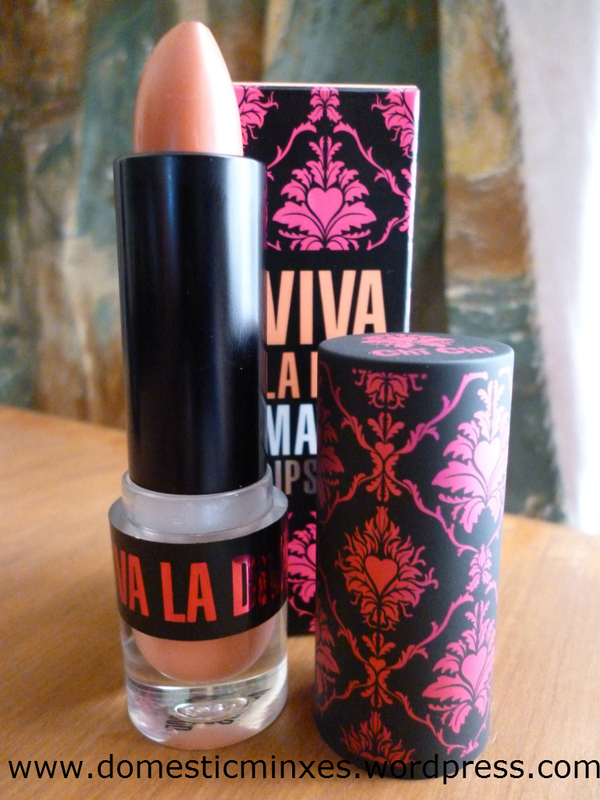 I would highly recommend having a look at your local Chi Chi stand for their Viva La Glam because for $20.00 NZD you get excellent quality, beautiful packaging and all round stunner of a lipstick. Just a quick post for now to spread the Lipstick Love. Oooooo, the packaging is lovely 🙂 The color is too! I will have to find a way to get it! Lol. Thank you!